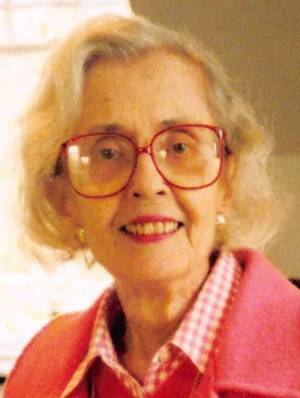 Dorothe M. Pollard, 86, of Plainfield, died Sunday (June 4, 2017) at Overlook Hospital in Summit. Born and raised in Vineland, she moved with her father to Plainfield in 1955. A graduate of Douglass College Class of 1953, she joined the Plainfield Bank and Trust (now PNC Bank) in 1955, becoming one of the longest serving employees when she retired as Assistant Vice President in Public Relations 16 years ago. Engrossed with Plainfield history, she actively supported both the Van Wyck Brooks Historic District where she resided, as well as the Plainfield Historical Society. An author of several books on Plainfield's history, she most recently co-authored "Plainfield, New Jersey's History and Architecture" published by Schiffs Publishing in 2008. She is survived by her twin brother, Dr. Donald Pollard of Three Bridges and an older brother, George Clifford Pollard of Millington; as well as nieces and nephews, Julia Pollard Rosato, Cynthia Pollard Chiera and Andrew Pollard and Daniel Pollard. Services will be held at Memorial Funeral Home, 155 South Ave., Fanwood, on Thursday June 8th, at 10 AM. Interment will follow at Siloam Cemetery in Vineland. Visitation will be Thursday from 9 AM to 10 AM. In lieu of flowers, donations may be made to the Plainfield Historical Society.